In the winter of 2010, Carey Theil led a Tuesday night "Making it to Expert" course for A-level players. One of the instructive problems discussed led to some of the participants to write an article. That article is now available in the latest issue of Chess Horizons. Check out this article by Ross Eldridge, Gregory Koch, Jason Rihel, and Carey Theil, entitled "Heroic King, Super Bishop", about an interesting endgame from the 2010 US Chess League Championships. Early Bird Quad/Regular Quad This week! 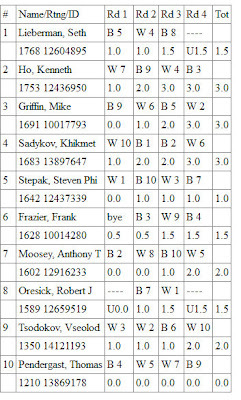 The Boylston Chess Club has several events planned this week! 2 Sections: Open and Under 1800 (Minimum 6 players to have an Open section. If you want the $10 rate for the $10 Open on Saturday 7/30, you have until Thursday night to pay in advance by Paypal or by mail (we must get it before the event). Sign up now and sign up often! 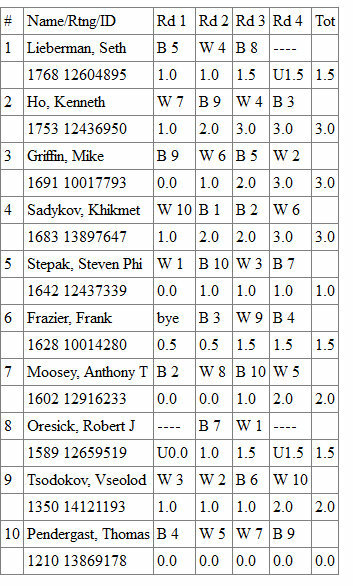 The $10 Open is one of the cheapest and most popular chess events in New England. 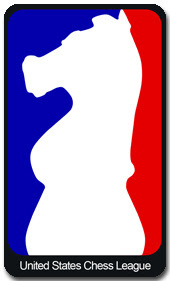 US Chess League schedule announced! Breaking news-- the USCL is back with the 2011 schedule. This schedule is a special treat for local fans, as the Boston Blitz play the 2010 Champion New England Nor'easters on Opening Day, August 29th! They play a second time on 9/26. Fans of the USCL will remember the dramatic conclusion the last time the Blitz and Nor'easters squared off. After an undefeated season, New England was on the verge of elimination in the Semi-Finals when Jorge Sammour-Hasbun blundered into Robert Hungaski's middle-of-the-board checkmate, securing the drawn match. Draw odds were in New England's favor, and they went on to win over Miami in the Final. In fact, New England went undefeated all season, but in two matches they could not overcome the Boston Blitz, earning only a draw. This re-match will be one to watch. Stay tuned for more details. Rumors are swirling that the Boston Blitz will actually be playing in Rhode Island this year, but no confirmation yet. The New England Nor'easters are likely to play again here at the Boylston Chess Club, but the details still need worked out. Also not finalized-- the team rosters for both the Blitz and the Nor'easters are still in the works and are not due for a few weeks yet. IM Marc Esserman sends us this entertaining game from his recent tournament in Spain. 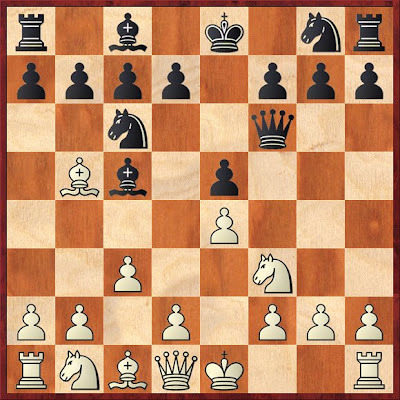 played the more standard 7. cxd4! Not quite dxc3 in the Morra gambit, but it will do! 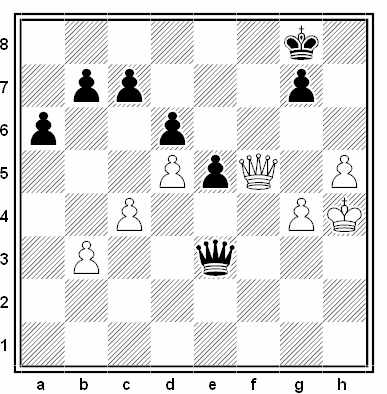 The movie "Searching for Bobby Fischer" teaches us not to bring our queen out too early, although the boy playing Josh in the park does not listen, much to the chagrin of his serious coach (and neither, for that matter, does Billy Collins, with his famous e4 e5 Qh5!?!?! on move two, or what he likes to call "Queen to Rook Five, how long can you stay alive, catdog!" Giving the f2 pawn, but with mate on h7. 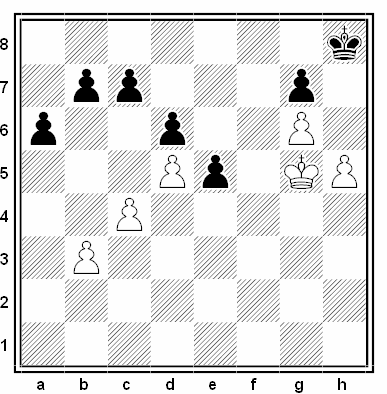 Black's dark squares will prove critical, in addition to his lack of development brought about by not watching "Searching For Bobby Fischer". Finally the queen retires, but her career has been a failure. In the 1980's, the Batsford publishing house used varying numbers of diagonal stripes on the front lower left corner of books to indicate the intended audience. 1 stripe = Popular; 2 stripes = Competitive; 3 stripes = Master (Adidas in German). For our club, those 3 levels could perhaps similarly loosely be designated as Weaver Adams (under 1800), Reubens-Landey (1800-2199), and Club Championship (2200+). Here's some solidly Weaver Adams category material, so the strong players are forewarned to lace up their Adidas sneakers and run screaming. In June, I went to Relyea Chess' Seacoast Open in Portsmouth, NH, despite the fast G/65 time control (+5 second delay for digital clocks). Arriving at and leaving from the parking lot alongside eventual tournament co-winner, GM Alexander Ivanov, it was almost as if the Chess Force was with me. Unfortunately, those parking lot coincidences didn't bring me a great tournament result, but I did get into time trouble. 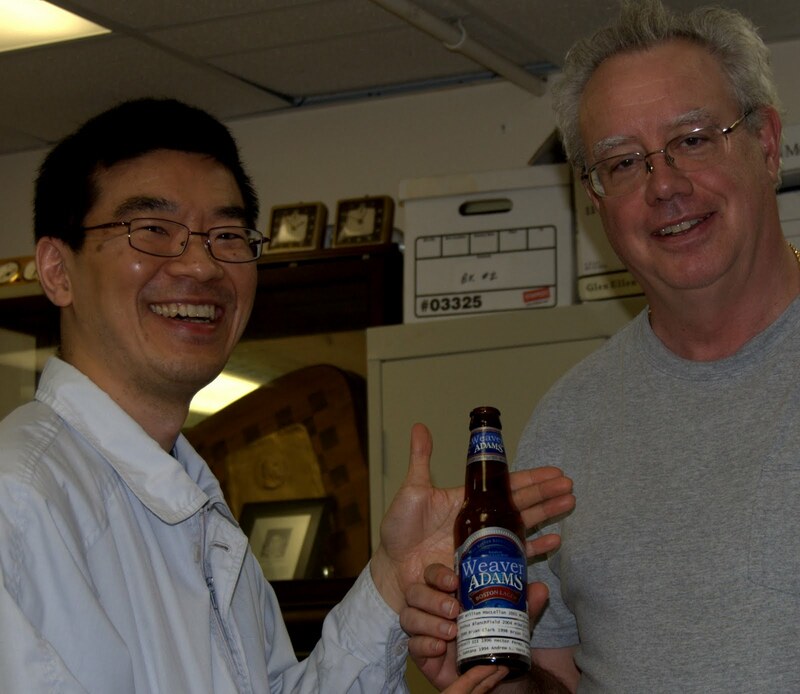 In round one as Black against Mike Parsons, I won a pawn and achieved some pressure, but I felt Mike was providing unexpectedly tough resistance for someone rated 400 points lower than I. He refused to collapse, and we both ended up in time trouble, struggling to avoid losing on time. We both finished with incomplete scoresheets, and although right after the game I recorded the final position using piece-on-square notes like Kg8, I subsequently discovered that I had been so fried that I'd recorded two pieces on the same square. Anyway, my best reconstruction of events follows, which I am reasonably sure is what actually happened at the end of our game. One of the things I dislike about time-crammed tournament schedules is the greatly reduced chances to chat with your opponent after the game. In the Batman movie directed by Tim Burton (bear with me, dear reader), there is a scene where Batman is preparing to raise Vicki Vale and himself up to the top of a building using a hydraulic bat-something-or-other. He asks her how much she weighs, to which she responds, "108." The hydraulic device apparently has more trouble with their combined weight than Batman expected it to, and he remarks, "You weigh a little more than a hundred and eight." (Thanks, IMDb). Mike, you played a lot better than your rating of 1333! In round 3 I had Black against unrated Dakota Smith. 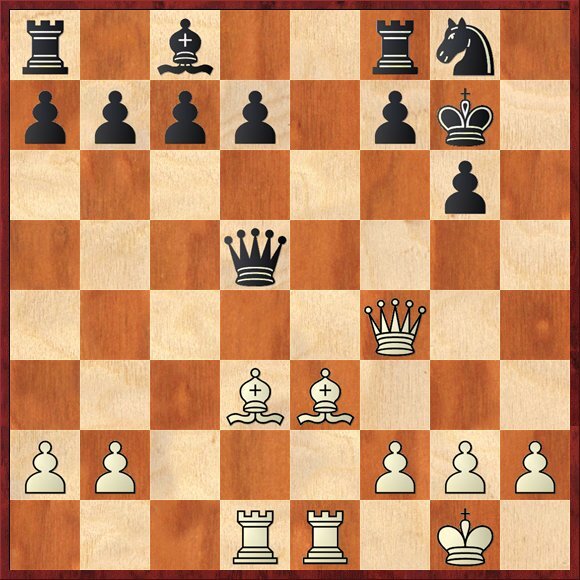 I once again fell into time pressure, but was pushing forward for checkmate from a position at least like the following with respect to the salient features of the position. It may even have been the exact position, but it just doesn't feel 100% familiar. 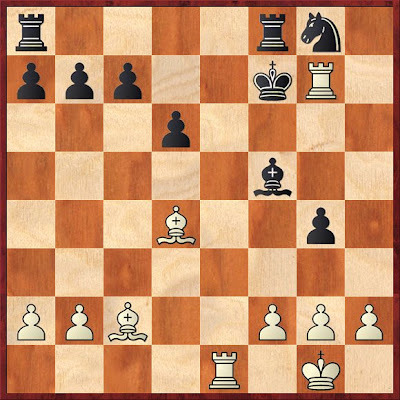 Some time earlier I was already watching for stalemate possibilities, but as the clock relentlessly ticked down I had shifted into "If he moves the rook along the 1st rank, I will play h2 mate. 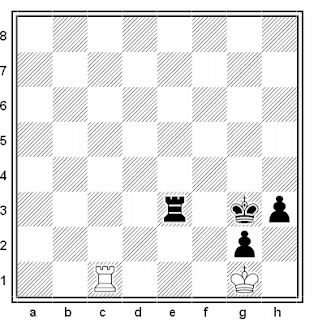 If he moves the rook off the 1st rank, I will play 1...Re1 mate." 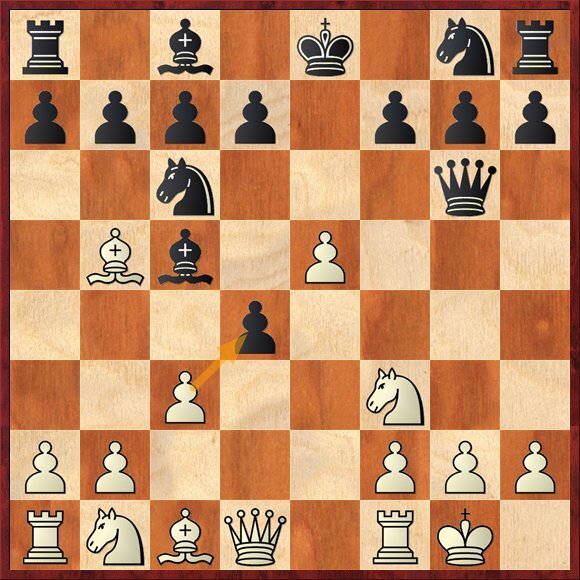 Clearly 1...h2 is mate regardless of what White plays, but if this really was the position, with my clock ticking down, I might not have noticed that. before abruptly realizing I had already touched the rook, and immediately offered a draw because of the stalemate described, which was accepted. Dakota offered to let me make the king move, but I stressed to him that it is touch move. I wasn't sure if, as a new player, he knew that. While writing this blog entry, I realized that instead of 1...Rxc3?? 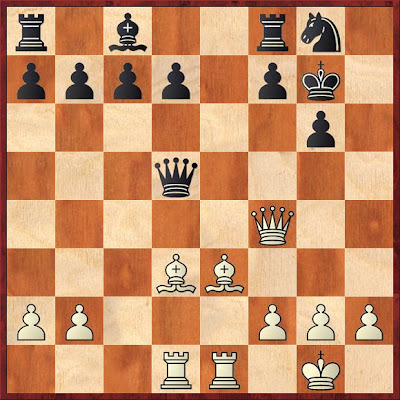 stalemate, there is actually 1...Rf3!! winning. To avoid 2...h2 mate, White must play 2 Rxf3+, after which 2...Kxf3 3 Kh2 Kf2 4 Kxh3 g1=Q (or g1=R) wins without further ado. I am sure the Reubens-Landey regulars are quivering in fear at the prospect of facing me, seeing these game fragments of mine. Vive the Weaver Adams one-stripers! Ken Ho, Mike Griffin and Khikmet Sadykov each completed the Weaver Adams tournament with 3 of 4 points and so became BCC U1800 co-champions for 2011. That means they will have their names added to the coveted Weaver Adams Trophy designed by Mike Griffin. And it means they move on to the Reubens Landey, the U2200 championship which begins on Monday, July 11. BCC members who are rated between 1800 and U2200 are invited to play in the Reubens Landey, the winner of which becomes the U2200 club champion, and is invited to play with the masters in the annual BCC championship in September. Winner receives free entry into the BCF Championship beginning on 9/12.